The Sorrentine peninsula, smartly situated between the Gulfs of Naples and of Salerno, is a region of staggering natural beauty and cultural treasures. 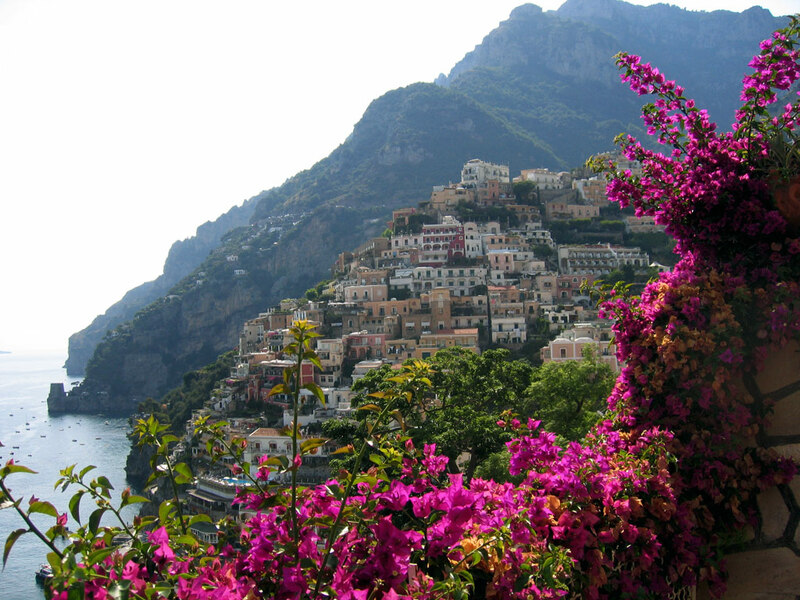 Best known for its medieval coastal towns and inland hamlets such as Amalfi, Positano, Ravello and Sorrento, it is also home to several hidden marvels. Small natural reserves, ancient paper mills and wild mountain scenery are only a small distance away from the busy touristy centres of its main cities, waiting to be explored by the aware traveller. 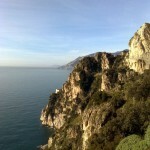 The best of the coastal scenery is on the southern side of the peninsula, the Amalfi Coast. With its towering cliffs and picturesque coves this definitely is one of the most beautiful coastlines in Europe, with a long tradition as one of the premier tourist destinations in Italy. 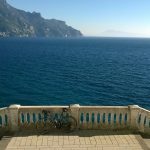 This tour gives us the opportunity to discover both the busy touristic and the quiet hidden, but no less spectacular, side of the Amalfi Coast. 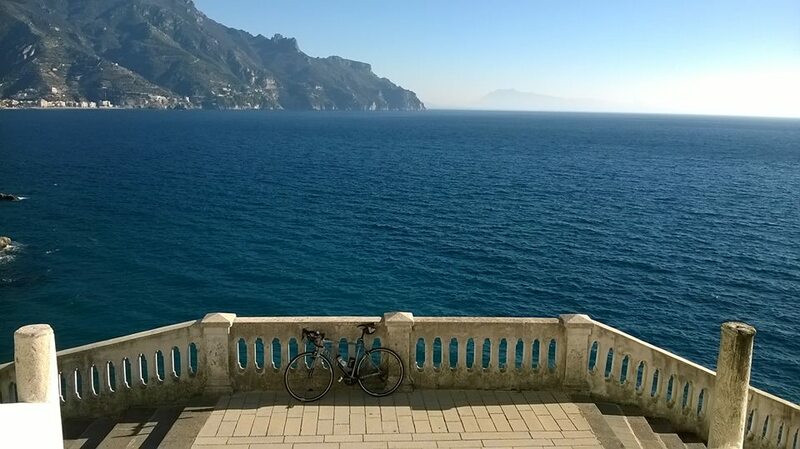 We will start from the little fishermen’s village of Cetara at the south end of the coast and cycle north towards the very tip of the peninsula, where from the small village of Termini we enjoy a marvellous view of the isle of Capri before cycling down to the seaside resort of Sorrento. 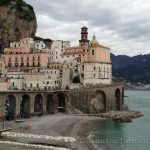 Along our way we will follow the spectacular coastal road from Cetara to Amalfi by way of distinguished Maiori, delightful Minori and tiny whitewashed Atrani. 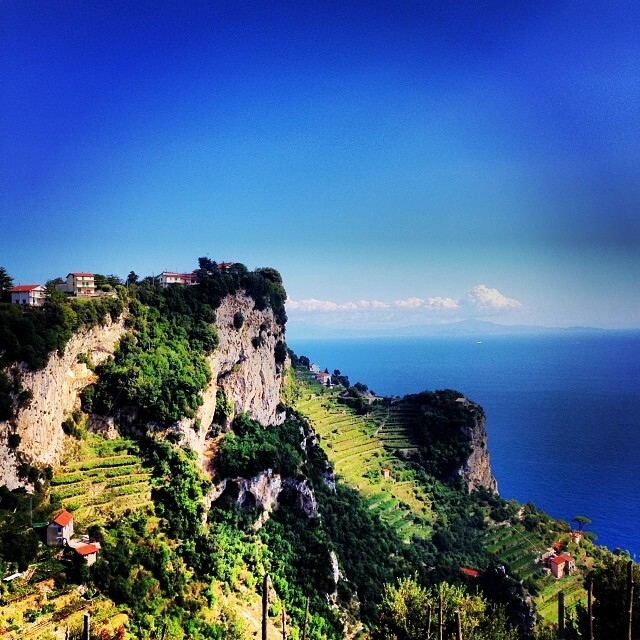 We will marvel at the location of Ravello, high up a rocky cliff, while visiting its world famous villas and gardens. 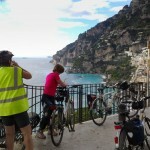 On our way to Sorrento we will visit the deeply eroded and amazing ‘fjord’ of Furore, explore mundane Positano and cycle through the little hamlets of Praiano and Conca dei Marini. From Sant’Agata sui Due Golfi little quiet winding roads will take us first to Termini, and then along Massa Lubrense to Sorrento, before turning back to Salerno. During our trip we will stay in beautiful hotels, located in some of the world’s most suggestive little towns. 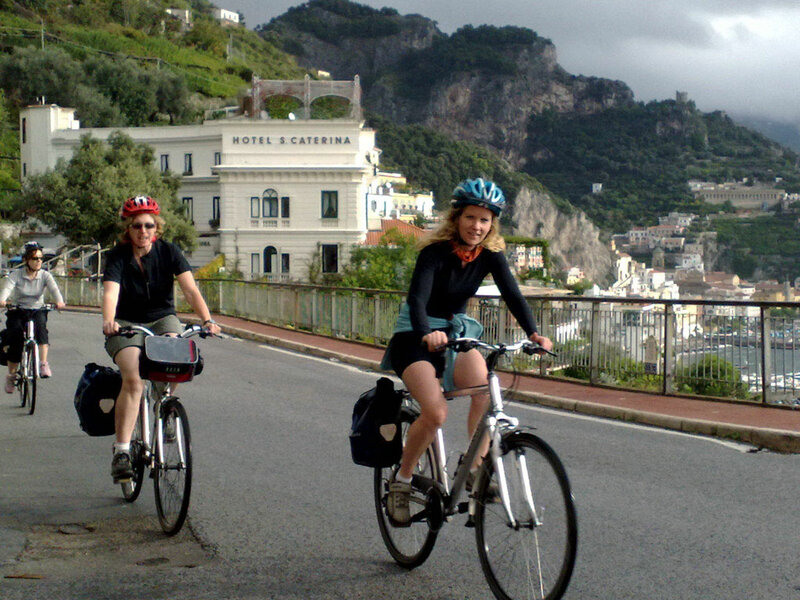 After our day’s cycling along the amazingly scenic coastal road we will visit the Duomo and its Paradise Cloister at Amalfi, and take a walk in the Valley of the Paper Mills, discovering the city’s industrial heritage. 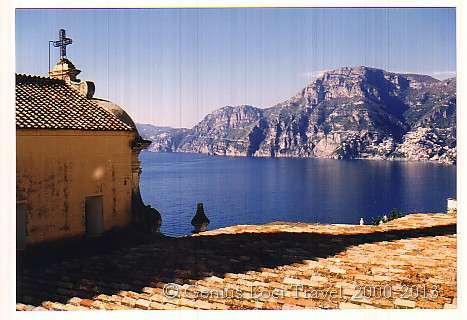 Or we can stop for a cup of tea in the little tea house in the gardens of majestic Villa Cimbrone at Ravello and stroll through the back alleys of Positano. 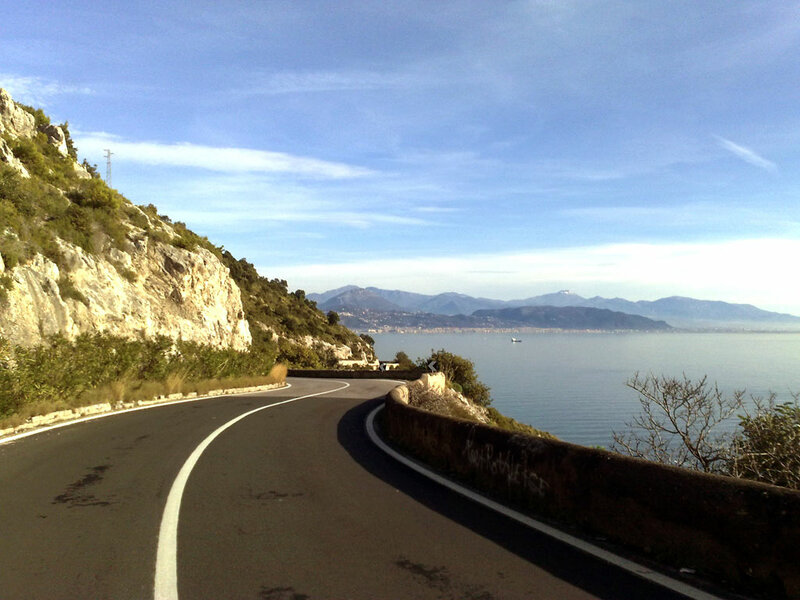 On our way around the tip of the Sorrentine peninsula we will enjoy great views of the Amalfi Coast and of the Coast of Sorrento and the plain dominated by Mount Vesuvius. Here we will take our time for a hearty lunch in a small ‘trattoria’ and taste the area’s renowned ‘limoncello’ lemon liquor. 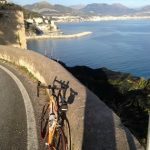 On this amazing cycling adventure we will discover several hidden aspects of the Amalfitan Coast and see with our own eyes that it has become with reason Italy’s most famous coastline. It will become clear that it takes only a little effort to get ‘off the beaten track’, finding ourselves surrounded by nature at only a few hundred metres away from the crowds. In short, we’ll explore this delightful angle of Italy in a totally different way. Please note: this is a moderate tour which is suitable for all those who are in a good general physical condition. On some of the stretches you may encounter some longer climbs. 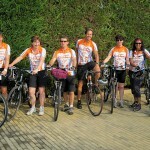 Rides are not very long, leaving plenty of time for sightseeing. Average cycling times: approx 3 – 5 hours each day. Naples has an international airport. From Rome (and many other cities) Naples and Salerno can easily be reached by train. There are regular AV (High-Speed), Eurostar and Intercity trains: travel time by High-Speed train: about one hour; cost around € 40,00), by IC-train: about two hours; cost around € 20,00; by normal, regional trains the cost is about 11 euro, and it takes almost 3 hours). Several hotels can be booked in Naples and Salerno, according to your wish (either ‘downtown’ centrally located, or near the harbour or train station, ranging from 3 to 5-star). 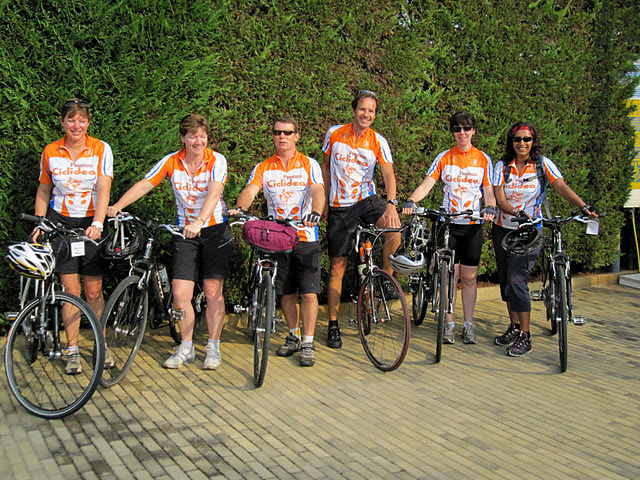 After our arrival at Cetara we get settled in at the hotel where we will meet with our tour guide and take hold of our bicycles. Tonight we eat in the restaurant of the hotel. 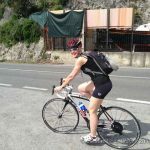 In case you arrive early you may want to take your bicycles for a short ride to the nearby village of Vietri sul Mare, renowned for its colourful table ware ceramics, or you may go for a stroll through the historical centre of the small village of Cetara, situated at walking distance. 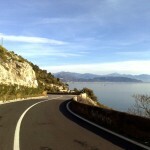 On the first day of our trip we will start out from Cetara and head for splendid medieval Amalfi, following the beautiful winding coastal road, defined by some ‘the most scenic ride in the world’. Our first stop is in the idyllic village of Cetara, named after the Roman ‘cetus’, tuna fish, which still produces some of the world’s finest. We may take our time for a cup of coffee or a cappuccino at the little bar near the tiny port of the village, overlooking the colourful fishermen’s boats lying on the white sandy beach. 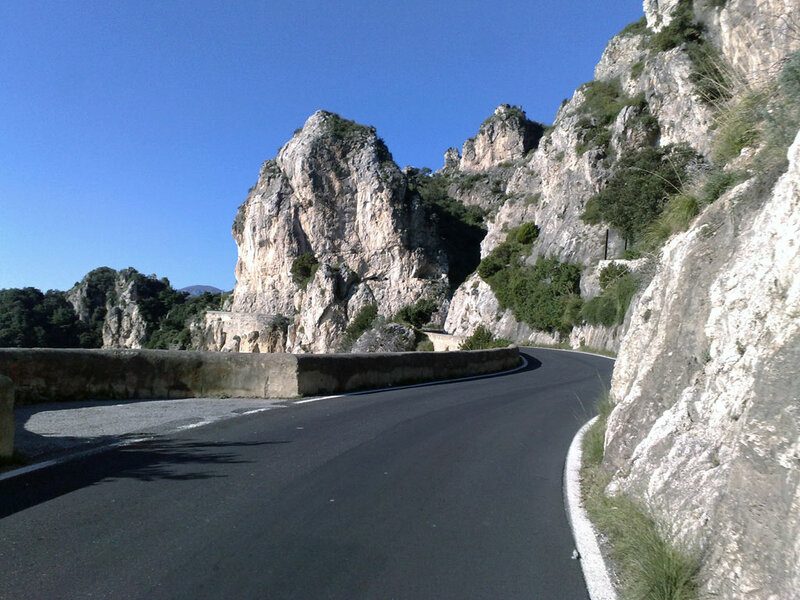 Then it goes on to Capo d’Orso, the highest point of the road, and a wonderful outlook on the whole of the Amalfi Coast and Capri. After admiring the view it goes on, now downhill on a beautiful winding road through lemon groves, forests and dramatic cliffs, until we arrive at Maiori, the biggest town on the coast. A short stretch around the headland brings us to Minori, with its nice little centre and beautiful seaside boulevard. 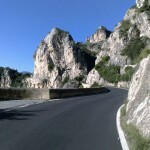 Then we continue with a short climb towards Castiglione, once part of the defence system of the Amalfi Republic. 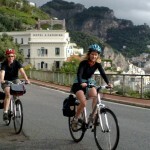 Here we have the choice of cycling up to marvellous Ravello by bicycle, which is quite a climb, or continuing to Amalfi where we can leave our bicycles at the hotel and then take a bus to Ravello. 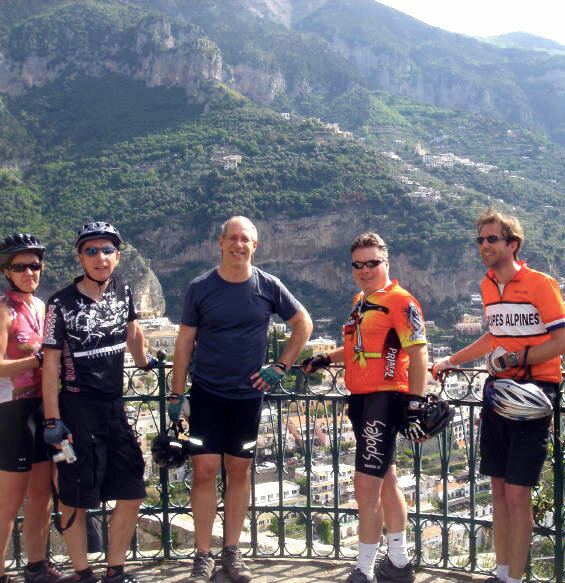 After passing Castiglione we will cycle through marvellous little Atrani with its whitewashed houses and arrive in Amalfi itself, our base for the night. In the evening we are then picked up by private boat and brought to a nice restaurant located in a beautiful little bay nearby. After dinner we travel back to our hotel, gliding by boat over the glorious Mediterranean. 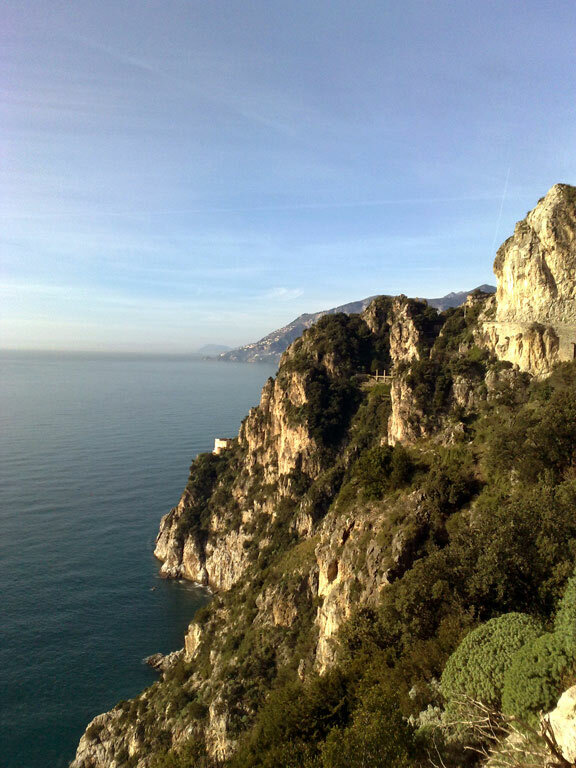 Today we will explore the second half of the dramatic ‘Strada Amalfitana’ from Amalfi to the town of Sant’Agata sui Due Golfi, located on the very ridge of the peninsula and offering wide views both on the Amalfitan and Sorrentine coasts. 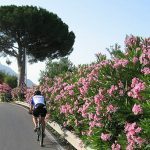 We start with the short ride from Amalfi, through Praiano, to Positano, easily the most scenic – and mundane – of the towns on the coast. Shortly after Amalfi we will pass by the scenic ‘Grotta Azzurra’ sea cave which is open to the public and the spectacular ‘fjord’ of Furore, a deep canyon opening up to the sea in which a small fishermen’s villages clings to the rocky cliffs. 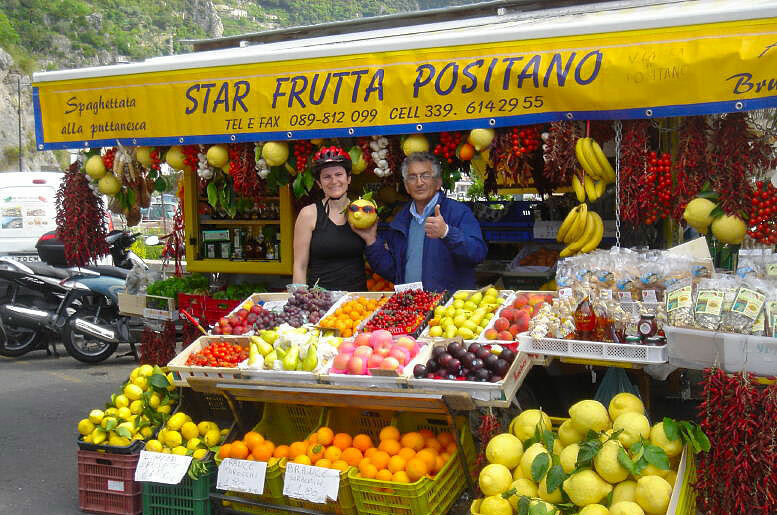 When arriving at Positano, we’ll make sure to cycle down into the town towards its beach from where we can explore its scenic and colourful alley ways by foot – quite obligatory as most of the small back streets we want to have a look at consist of stair ways! 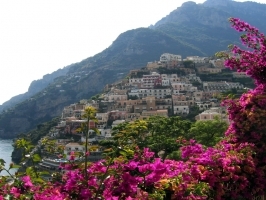 After Positano the coast becomes wilder and more rugged, and it is a good climb to arrive at the Colli di San Pietro, beautifully situated on the ridge that separates the Amalfi Coast from the rest of the Sorrentine Peninsula. A short flat stretch then brings us to our hotel at Sant’Agata sui Due Golfi. After settling in at the hotel we can relax and enjoy a hearty meal in the hotel’s restaurant. On the first stretch of the road after leaving our hotel this morning we can admire not only the wonderful panorama over the coast towards Capri, but also enjoy the view of the plain stretching out towards Naples dominated by Mount Vesuvius. 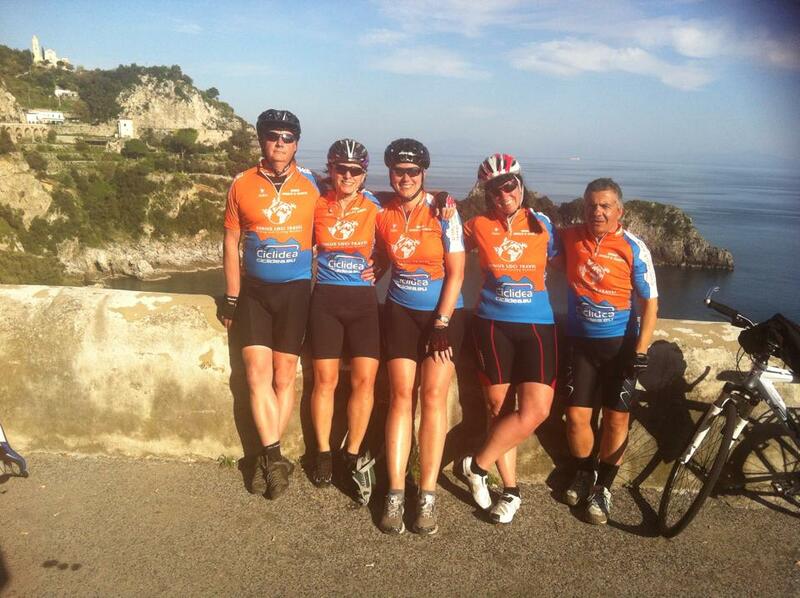 We now cycle on the plateau high above the coast towards the very end of the peninsula, Punta Campanella. From the very last village (indeed: called ‘Termini’) we have a great view on Capri. 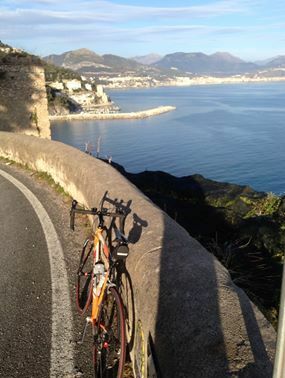 There is then the possibility to descend towards the delightful beach of Marina del Cantone and up again. 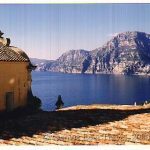 We then return along the northern coast, with wonderful views of the Bay of Naples and again Mount Vesuvius, through the charming village of Massa Lubrense. 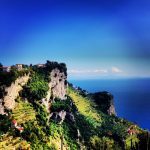 We may make a detour to the seaside resort of Sorrento, perched on high vertical limestone cliffs above the sea, and visit its city walls, and the old town centre with its wonderful gardens and villas. Alternatively we turn inland again shortly before reaching Sorrento and climb slowly up to Sant’Agata sui Due Golfi again. From Sant’Agata it is then only a short flat ride to the Colle di San Pietro, and then all the way down again to Positano. Whizzing down this part of the road just before sunset, looking out over splendid Positano is a wonderful experience, definitely one of the nicest stretches to do on a bike worldwide! Once arrived at our Positano hotel we can relax and settle in before heading into town for dinner. Dinner is on your own tonight, you have the choice of several different pizzeria and restaurants catering for the most divers budgets. 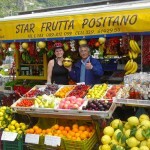 During our last day we head back in the opposite direction from Positano to Salerno. We have the opportunity to sample once more the nature, culture and atmosphere of the coast’s most famous settings, and take in the wonders of its many little towns and villages. 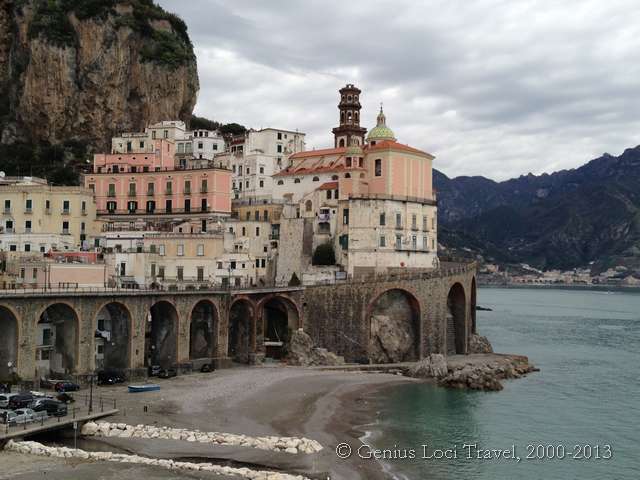 We will take our time for a last look at the ‘Duomo’ of Amalfi, stop for a coffee in Atrani’s marvellous town square, have a pastry at one of Minori’s bakeries or stop for a cold drink on a terrace overlooking Maiori’s ample sea side boulevard. We will drink up the amazing scenery while cycling towards Cetara and stop for a closer look at Vietri’s colourful table ware ceramics. 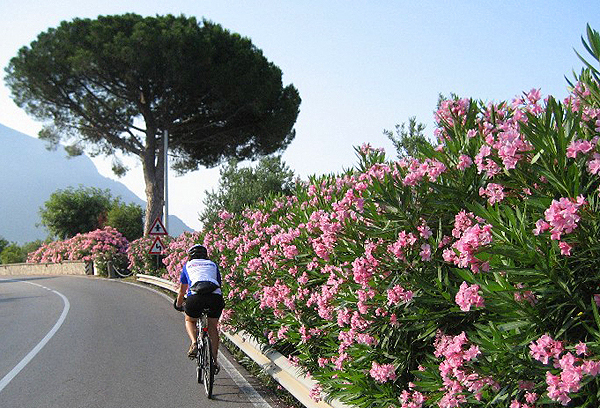 After arriving at Salerno and parking our bicycles, we may explore some of the city by climbing up to the medieval castle overlooking it or visiting its surprising botanical garden. Or we may simply wander through the maze of little alley ways of the historical centre, dotted with many little artisanal shops, or have an ice cream on the town’s ‘lungomare’ boulevard. Alternatively we can stroll through the city’s main shopping streets trying not to spend too much money. The evenings dinner is on your own again, meaning you can go out and find a suitable restaurant to end your wonderful trip through one of Italy’s most delightful coastal areas. The tour ends in Salerno after breakfast today. A train transfer can take you back to Naples. A taxi transfer to other destinations can be arranged on request. Dinners are included on all nights except for the last two when you are free to organize your own dinner in one of the many restaurants at Positano and at Salerno. Night 1: The first night is spent in a beautifully located hotel near Cetara. 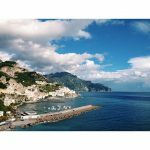 The hotel has a marvellous view of the Bay of Salerno and is within walking distance of the fishermen’s village of Cetara. 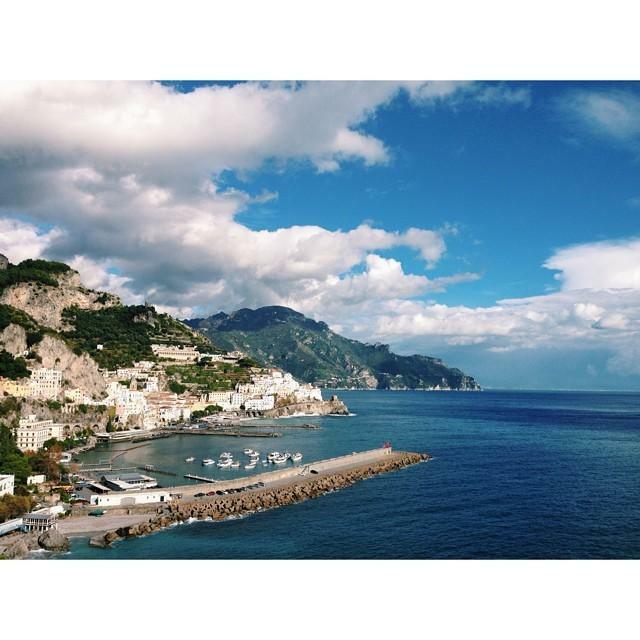 Night 2: Tonight you stay in Amalfi, the ancient capital of the Amalfi Coast. Our recently renovated 4-star hotel is located in a great position, right in the historical heart of the city at only a few metres from the sea shore. Night 3: The third night you stay in a nice hotel located in Sant’Agata sui Due Golfi, with views of both the Gulf of Naples and the Gulf of Salerno. Night 4: Tonight you stay in yet another beautifully located hotel at Positano, situated near the centre of the mundane heart of the Amalfi Coast. From the hotel the whole of the town is only a short walk away. Night 5: The last night you will stay in a cosy 3-star hotel at Salerno. The hotel is within walking distance of all the major points of interest of the town. Arrival: The tour starts in CETARA which can easily be reached by bus from Salerno, which is only a one hour train ride from Naples. Naples has an international airport. From Rome (and many other cities) Salerno can easily be reached. 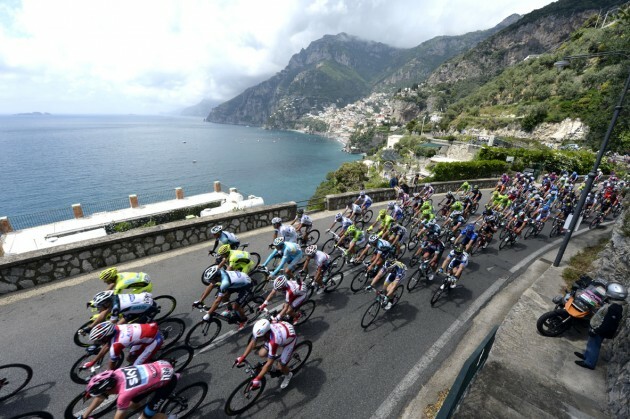 Departure: The tour ends after breakfast on day 6 in SALERNO. A short transfer can bring you to the local train station, from where Naples is easily reachable.